After someone passes away, dealing with the transfer of his or her property can be challenging for loved ones, especially in the absence of a will. Because the probate process can be long and complex, it’s important to hire an experienced attorney in Tracy who understands California’s laws and who can help you navigate the system as quickly as possible. Here are some of the ways your lawyer may be able to help you speed up the probate process. For surviving spouses and registered domestic partners, the process of transferring property can be easy, even in the absence of a will. Your attorney can submit a Spousal Property Petition in your behalf to the probate court, which can be approved much quicker than traditional probate procedures. There are no limits on the amount of property that can be transferred in this way, as long as the surviving partner has a legal right to the claim it. Your attorney can help you understand your eligibility for using this petition. A simple affidavit can be used to transfer property that is under a specified amount. For this procedure, your lawyer will help you prepare a document listing the property that you are claiming, which you will then sign under oath. The affidavit can be submitted directly to whoever is holding the property along with a death certificate, and the party with physical ownership will release it to the party who is claiming it. This process lets surviving family members avoid probate court completely. This procedure can only be used for property that is worth $150,000 or less or for real estate that is $50,000 or less in value. If you can’t use either of the previous solutions, your attorney may help you file a request for a simplified probate process. This process can be used for small estates of $150,000 or less, excluding real estate outside of the state, death benefits, life insurance, and property that is not automatically transferred to a surviving spouse. Your attorney will help you determine if this procedure is right for you. 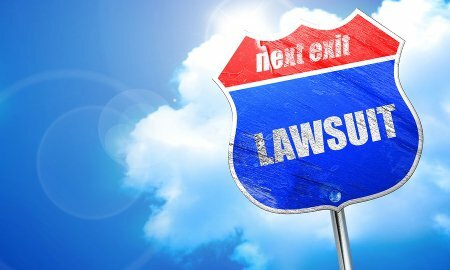 Do I Need Expert Witnesses for My Slip and Fall Lawsuit? Slip and fall injuries can range in severity from mild ankle sprains to life-threatening head trauma. If you fell on someone else’s property because of their negligence, and you sustained damages as a result, you shouldn’t have to pay for their mistakes. Talk to an attorney in Tracy or Manteca about your right to legal recourse. 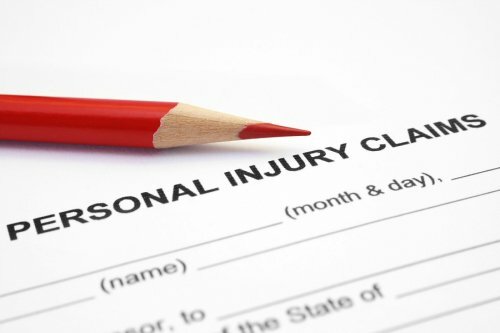 Hiring a personal injury lawyer will give you the best chances of securing a favorable outcome for your case. He or she may recommend hiring some expert witnesses to substantiate your allegations with evidence. An expert witness is someone who testifies under oath at a trial. This person is not personally involved with the case, but does have certain expertise and knowledge that pertain to a key facet of the case. When the expert witness takes the stand, the personal injury lawyer will first establish his or her credentials and ability to testify about the issues of the case. Then, the expert witness will be asked to explain the technical aspects of the case to the court. 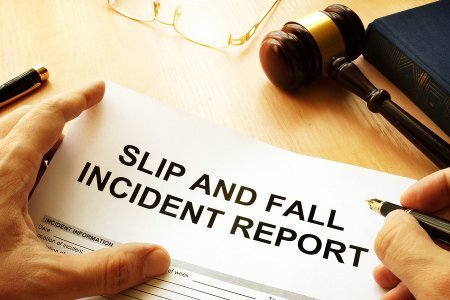 Slip and fall accidents can be difficult to litigate, especially if there is no video footage or eyewitness testimony available. A jury will only return a favorable verdict for you, the plaintiff, if there is evidence to support your side of the story. Expert witnesses can accomplish this. They can make or break your case. Using the testimony of expert witnesses improves your chances of getting a jury award, and may even bolster the compensation you’re awarded. Building inspectors might testify that the defendant failed to follow the local building code. A flooring or traction expert could testify as to the slipperiness of the floor and the risk of falls. An accident reconstruction expert can explain to the jury exactly how the accident happened, and medical and vocational experts can discuss the impact of the accident on your daily life. What Happens When Personal Injury Victims Have Pre-Existing Conditions? 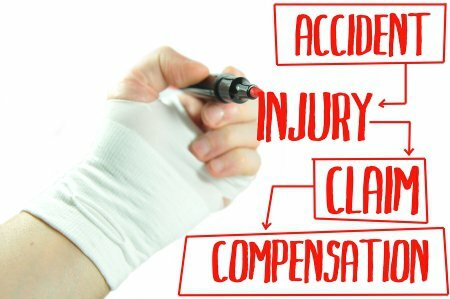 Accident attorneys serving Tracy and Livermore typically handle cases in which a plaintiff sustains injuries and financial losses as a result of someone else’s negligent or intentional actions. For instance, a drunk driver might run through a red light and strike the victim’s car, causing brain injuries, fractures, and lacerations. Cases such as this are fairly straightforward, but not all plaintiffs were in good overall health prior to the accident. This can make litigation more complicated, although an attorney can still help the plaintiffs receive the compensation they’re entitled to. In order for an injury lawyer to represent a plaintiff’s best interests, he or she needs to be fully informed of the circumstances of the accident and how the plaintiff’s health was affected. It probably isn’t necessary for plaintiffs to disclose every detail about their medical history. However, they should discuss pre-existing medical conditions that might have been affected by the accident, such as orthopedic impairments or mental health disorders. It’s best to be upfront about these issues in court, so that the attorney for the defendant cannot argue that the plaintiff attempted to conceal information. In some cases, plaintiffs might not realize that they had a pre-existing health problem before the accident. For example, a car crash won’t cause osteoporosis, but it can cause weakened bones to easily break. This means that the defendant won’t be on the hook for paying for the plaintiff’s bone health medications, although he or she should be liable for the cost of medical care for the fractures. Another pre-existing condition that might not have been previously diagnosed is degenerative disc disease. This occurs when the discs in the spine become weakened and compressed, and more vulnerable to physical trauma. A car crash can cause a disc to rupture. It’s the responsibility of the physician to determine which conditions were pre-existing, and which were directly caused by the crash. Personal injury lawyers can help their clients secure compensation for damages stemming from the worsening or aggravation of pre-existing health conditions. The plaintiff’s medical records will be invaluable in proving exactly how the accident caused additional harm. The lawyer may also hire an expert witness to testify about the exact way the accident worsened the pre-existing condition. Why Don’t More Americans Have an Estate Plan? Millions of American adults don’t have an estate plan , despite it being the only way to ensure one’s wishes are carried out after death. One of the primary reasons why so many adults are in this situation is because it’s assumed that one must be wealthy in order to visit an estate planning attorney in Tracy or Livermore. If you’re one of these millions of American adults, it’s worth your time to explore the many benefits of estate planning. Estate attorneys do much more than just draft wills. They can create trusts, offer guidance on advance directives, and minimize estate taxes. With the help of your lawyer, you can make arrangements to manage your property during your life and after your death, and you can put a plan in place just in case you become incapacitated. If you have minor children, you can designate a legal guardian for them in the event that you die before they reach the age of majority. A comprehensive estate plan can make arrangements for family businesses, and provide for special needs dependents. In short, nearly every adult can benefit from visiting an estate planning lawyer to discuss future arrangements. 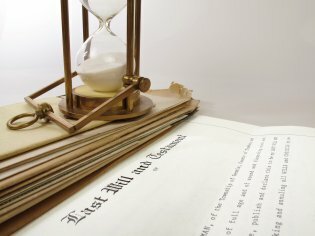 How Can I Amend My Will? There may come a time when you need to amend your last will and testament. 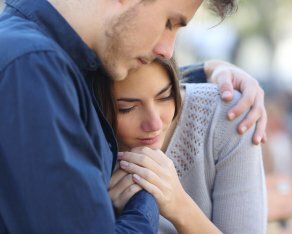 Perhaps you would like to leave inheritances to the newest generation of family members, or you need to eliminate someone from the will after a divorce. To make legally recognized amendments to your will , visit a lawyer serving Tracy or Manteca. You can also watch this video for a general overview. It explains that you can either have a completely new will drafted or you can attach a codicil to the original will. A codicil amends specific parts of the will. You must sign the codicil in the presence of two witnesses in order for it to be legally valid. If the instructions in the codicil contradict those in the will, the codicil’s instructions will be carried out instead of the will. One of your periodic estate planning tasks may be to update your beneficiaries. A designated beneficiary is someone to whom you leave certain assets. You can learn more about designating beneficiaries by watching this featured video and consulting a lawyer serving Tracy and Manteca. The certified financial planner featured here explains that a beneficiary designation supersedes the information contained in your will. For example, your last will and testament may leave everything you own to your spouse. If your life insurance policy still lists your ex-spouse as the beneficiary, those benefits will go to your ex. This is why attorneys urge their clients to update their estate plans as life circumstances change. 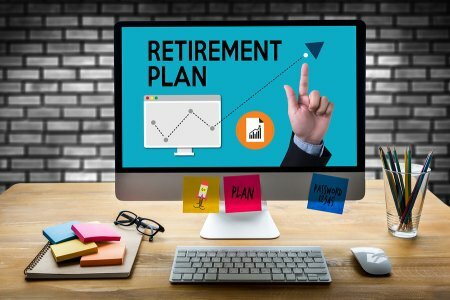 Will My Retirement Savings Go Through Probate? Probate is the legal process of managing and distributing a deceased person’s estate in accordance with his or her last will and testament, or with the laws of intestate succession. When individuals consult attorneys in Tracy or Manteca to handle estate planning, probate is often a top concern because it can be lengthy and complicated for the surviving heirs. The short answer is that no, your retirement savings won’t go through probate—but there are exceptions, and you should consult your lawyer about them. Your estate planning process should include designating beneficiaries for certain accounts, or updating beneficiaries you’ve already designated. These accounts do not pass through probate. All of the assets in them will be transferred to the beneficiary upon your death. Even if your will specifies that your 401(k) will go to your children, if the designated beneficiary is someone else, that person will receive it. For this reason, you should update your beneficiary designations whenever life circumstances change. Of course, if you neglect to designate any beneficiaries, the account will pass into probate. An alternate beneficiary is someone who will inherit the assets in the event that the primary beneficiary can’t. It’s always good practice to name an alternate beneficiary. Otherwise, those assets will go into your estate and through probate. Hypothetically, Frances and Bernard are a married couple, and they have each left their assets to each other. They both die in a car accident. Lacking alternate beneficiaries, their retirement accounts pass into probate. Their adult children won’t receive those assets until the process is complete. California is a community property state. This means that half of the assets you contributed to your retirement account actually belong to your spouse. If you name your spouse as the primary beneficiary, there’s no problem. Otherwise, your spouse could claim those assets, which might force the retirement account to enter probate. If you don’t want this to happen, your attorney can provide a waiver that relinquishes your spouse’s claim on the retirement account. Your spouse would need to willingly sign this waiver. Gym owners and managers have a responsibility to ensure that the facility is reasonably safe for its members. If they fail to perform routine maintenance, repairs, and cleaning, the gym’s members can suffer the consequences. Consider visiting a personal injury lawyer serving Tracy or Livermore to find out if you have grounds to file a case against the gym owner. Your attorney will need to know of the exact circumstances of the accident, such as where you were, what you were doing, and what caused you to fall. In gyms, slippery floors are most common in the locker room areas and the side of the pool. 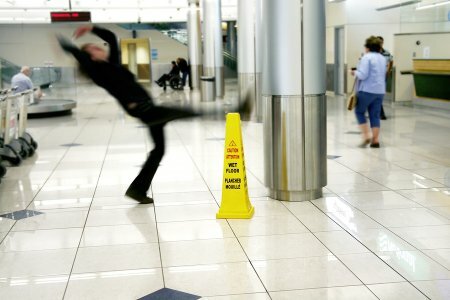 It’s also possible to slip and fall in the showers if they have not been properly cleaned. In other areas of the gym, members may fall on worn out, frayed carpeting, broken floor tiles, or uneven floorboards. The lack of handrails may contribute to the fall. Similarly, the lack of adequate lighting can prevent a person from spotting a hazard. Your injury lawyer will need all the details you can provide to determine if the owner or manager might be held liable for your losses. Carbon monoxide is a gas that is odorless and colorless. In high concentrations, it can cause serious health problems, and it can be deadly. Installing and keeping working batteries in carbon monoxide detectors are basic safety precautions, yet many hotel owners are negligent. Survivors of carbon monoxide poisoning can turn to an injury lawyer in Tracy or Livermore for legal guidance. An attorney can also assist families of individuals who were killed due to the negligence of hotel owners. Are carbon monoxide detectors legally required in hotels? The law can vary from state to state. In California, smoke alarms and carbon monoxide detectors are required in each dwelling intended for human occupancy. The owner of the dwelling is responsible for both installing them and keeping them in working condition. These requirements extend to owners of hotels. What if the hotel owner installed the wrong type of carbon monoxide detector? A hotel owner may still be found liable for carbon monoxide poisoning injuries or death if he or she installed the wrong type of detector. In California, it is prohibited to sell, market, or distribute any carbon monoxide alarms or detectors unless they are approved by the State Fire Marshal. If you do file a lawsuit, your injury lawyer will investigate whether the hotel owner installed an unapproved detector or failed to keep an approved detector in working condition. How do carbon monoxide leaks happen? In some cases, a gas leak is responsible for poisoning hotel guests. It’s also possible for the equipment in the utility room to malfunction. The gas can leak out of the utility room into nearby guest rooms. If the hotel has a connected generator in operation, it’s possible for the generator to malfunction or not be hooked up properly. How do I know if I’ve been affected by carbon monoxide poisoning? Unfortunately, travelers spend much of their time in hotel rooms asleep. If the gas leak occurs overnight, the guests may not know their health has been affected. Some guests may be awakened by nausea, vomiting, dizziness, or headaches. Severe cases of poisoning can cause loss of consciousness, unresponsiveness, and death. One key concept in personal injury law is negligence. A person can be considered negligent if he or she acts or fails to act in a way that breaches his or her duty to exercise reasonable caution toward someone else. In some personal injury cases litigated in Tracy or Livermore, just one person is found negligent for an accident that caused another person’s injuries. But quite often, cases are more complex, and even the victim or plaintiff might share some of the fault for the incident. This is where the concept of comparative negligence comes into play. Comparative negligence states, like California, do not penalize partially negligent plaintiffs by eliminating their right to seek compensation altogether. They can still collect damages, but their award will be reduced by a certain percentage. This percentage is also the percentage of blame they’re assigned for the accident. For example, if the jury decides the plaintiff shares 15% of the fault, his or her compensation will be reduced by 15%.